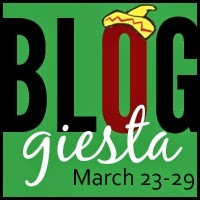 This week decided to SLAM me with work, so it's been a little slow here on the blog, but that happens to lead me into today's Bloggiesta prompt...the best blogging advice you've received. 1. If you need a break, take it. Most of us do this as a hobby...something we should rightfully enjoy...and our friends and fellow readers will still be around when life straightens out. It can be hard to accept this, to see our traffic die down for a bit, but it is true that our reading friends will still be around. 2. It's ok to talk about yourself and your life beyond books. Sometimes we just need to vent, or we feel the urge to share a big life development. 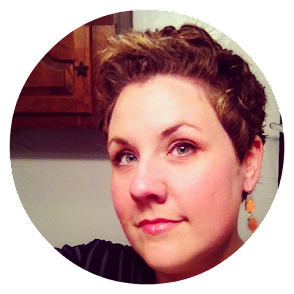 I love getting to know bloggers for WHO THEY ARE in their reading and beyond the books. That's why we have events like Trish's upcoming "Day in the Life." We have to be true to ourselves and authentic for our audience. That's when this blogging thing gets really rewarding. Let it all hang out! Great advice, advice I have received from all of you and has helped me as well. Thanks for sharing, Andi! Amen sister! I love promoting others and what they have going on, and I definitely try to insert my own experience and voice into everything here. Whether I'm always successful, meh. This is great advice. There have been times when I stressed over the fact that I couldn't blog as much as I should but not anymore. Thanks, Hillary! It doesn't stress me out so much anymore, but it's more like something feels as if it's missing if I'm not reading or blogging. Like a chunk of what I love is gone, if that makes sense. It definitely feels better to have the reading and blogging mojo, but if it's just not happening, I try to chill and let it pass. Amen to both of these points. And I like what Becca said as well. Your posts are your posts. I always say that I write like I talk - which is not formal at all. So why would my blog posts be set in formal language. I think what we want to know is how did that book affect you, what touched you, tell us a story about your life, and don't feel like you have to say things every day. Take a break or just say - life is tough right now - I'll be back. That's perfect. Thanks, Kay! Same here re: writing like I talk! Texasisms and all here. lol Nothing wrong with admitting we need breaks! Such a great observation that our friends and readers will stay... once you've forged bonds with people, they understand if you just need to vanish for a bit! This is another great reason why engagement/relationship-building > numbers. Taking a break is so important. No use getting stressed out. And YES, I LOVE seeing the personal stuff. I understand why people might not want to share those details but they shouldn't hold back simply because they think people won't be interested. good luck with the work week! Yes, I definitely understand it, too, but since I'm just me here, I can't help but let the personal stuff seep in. This has really been so much more a journal for me over the years than just a book blog. Thanks! Looks like the week MIGHT calm down a bit today. I'm wearing jeans, so at least it's more pleasant! Kassiah, I definitely try to give myself a break fairly regularly. Especially when real life stuff starts creeping up. Super true. Sometimes taking a break can be the best way to remind yourself why you loved blogging in the first place. Giving myself time to miss other bloggers has always made me want to come back to blogging when I've been considering quitting. I love the day in the life idea! We are not reading robots -- human interest is what keeps us going, ultimately. Amen! No reading robots here, and I can't wait for Day in the Life! Great advice. I actually really like reading the "life of a blogger" type posts. I also like when I follow a blogger on Twitter or FB and they talk about THEM and aren't just post promo links for their blog. I will admit I don't do too many of those types of posts on my blog, mainly because I never really know what to talk about that would require a whole post but I do use Twitter as a way to just talk about me and my blogs and what's going on in my life at that moment. Even if all it is just a tweet about me hanging out with the Mr. drinking wine and watching Glee or playing Guild Wars 2. I want people to view me as a person... not just a blog. YES! I love Twitter for the candid conversation. Totally not into promo links all the time, though I do enjoy sharing great posts I find from others over there. It's become second nature as I'm reading blogs to share the entries that really capture my interest. It's definitely great to let our authentic selves shine through! Yes, yes! My favorite blogs are the ones where I can really get to know people - and that makes it so much easier for bloggers to take those breaks, they have friends who will wait for them. YES! The connections really make taking breaks so very much easier. What a super post and these comments are so very valuable. I am a fairly new book blogger and appreciate any and all input, advice and perspective. I, too find my favorite book blogs are those who let their personalities shine through. Thanks Estella for being one of my favorite book blogs! Thank you for stopping by and adding your two cents! This is perfect (and timely) advice. Taking a break when you feel overwhelmed is so important. There's no reason reading and writing should feel like a chore. I'm a big proponent of keeping blogging easy-peasy, breaks and rants and writing whatever the hell you want. Good advice! Really good advice. And I find I LOVE reading about people's lives outside of the books they read. It's like we have books in common and having that common ground, I want to know more about everything else, too. Because it's all you, and you're who I like! Two great pieces of advice! Taking breaks when needed is so important, and it's so nice to remember that our friends will still be here for us when we come back. Great advice, Andi. I've gotten away from sharing tidbits from my life and only seem to have time for book reviews, such as they are. Thanks for the reminder that it's good to share about life in general, as well as books. I'm going to try to get back to my Gratitude Lately posts, which are a lot of fun to put together, and nudge me a bit to take more pictures. I'm bummed I missed Trish's Day-in-the-Life post, but have started a draft for the next go around.